Android is one of the toughest competitor to iPhone right now and the one mobile OS with most promising future because of it’s Open Source origin. When users purchase their Android devices, no wonder they are fascinated with the UI and features, partly thanks to special UI coupled with most of the Android phones like HTC’s Sense, Samsung’s TouchWiz and Motorola’s Motoblur. But the special appearance with these UIs comes at a price. Firstly, they take a lot of phone’s internal memory and make the device slower and Secondly, when Google rolls out an update to Android (most recent is Android 2.2 Froyo) you have to rely on your manufacturer to integrate the specific UI with the newer version and then only you can update. One of the most powerful Android device in market now: Samsung Galaxy S is no exception to this. 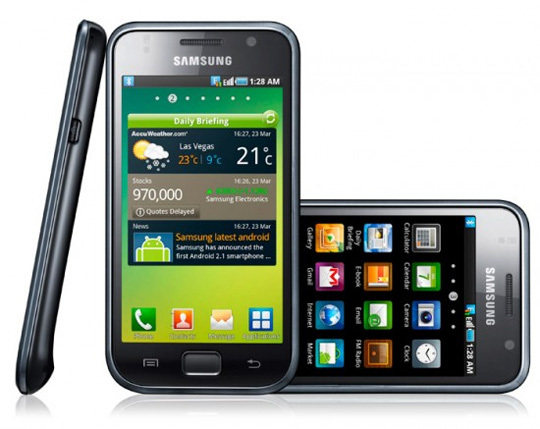 Do you want to ditch the Samsung TouchWiz and run a Stock Android 2.1 on your Samsung Galaxy S? Well now you can. The Samsung Galaxy S running on Stock Android is lighter, faster and Yes ! easy to upgrade. Thanks to some Android modders at XDA who have achieved this feat. But wait, there are some serious bugs still persistent in it. Camera doesn’t work for now and some minor bugs are very close to be fixed. But if you want to go the Google’s way to taste the Eclair (Android 2.1), this certainly is your way.